A malfunctioning boiler can be frustrating to have in the home when you try to use it. It happens when it’s not meeting your needs, not to forget how much it costs in energy bills when it works harder than usual. The lack of hot water from a boiler is one problem that a lot of homeowners deal with for one reason or another. Imagine the inconvenience of going to the bathroom to prepare for the day only to find out that your shower head only drips cold water, yet the boiler is on. Getting boiler repairs in London can prevent you from having to go through the same issue more than necessary. It helps to know what the causes of this problem could be. One of the first things to check when a boiler is not heating water is the connection. It may seem a bit obvious, but it does happen–you think that the connections are secure but are not, meaning that the boiler cannot heat water. A loose connection may cause the motor to run without allowing the burner to ignite. For example, there could be something wrong with an electrical connection, which demands the services of a professional technician for repair. Another potential cause of a non-functional boiler is that it may be switching itself off and on. The appliance will do that if the pressure is too low because of low water levels since the liquid should be at least half full in the tank. Such a problem arises when the pump has a fault, therefore failing to circulate water in the system. In this case, the expertise of a London boiler repair technician will be necessary, such as those from JS Gas & Property Services. The thermostat may also cause the boiler not to heat water. Start by confirming that it is set to the right temperature and if it is but the problem persists; then it could be broken. A faulty thermostat may have trouble maintaining accuracy so even when you set the temperature correctly, it will calibrate wrongly which is a frequent problem with old boilers. You can get London boiler repairs services for thermostat repairs or replacement. 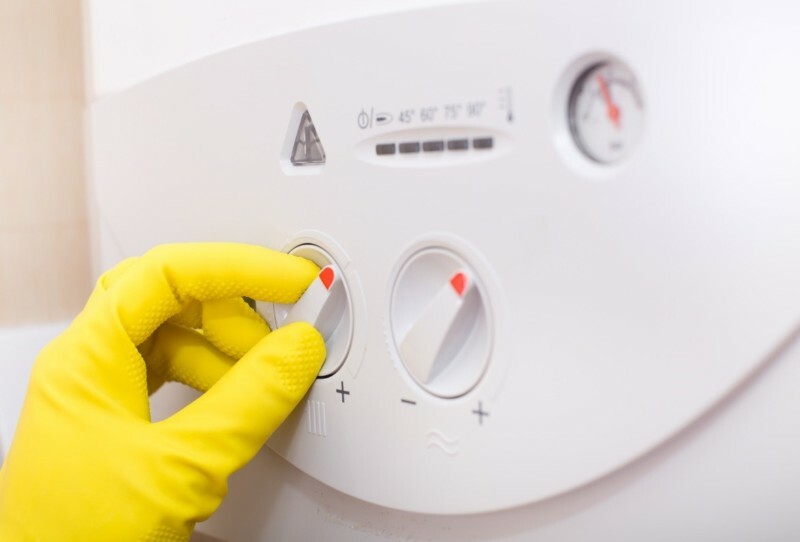 A boiler may fail to heat water because some internal components such as the airlock valve or diaphragm may be faulty. If the appliance has been in use for a long time or has been lacking proper servicing and maintenance, then defective parts are not uncommon issues. Boiler repair London professionals can fix or replace broken parts. How to Diagnose & Fix Loss of Heat on oil or Gas Fired Hot Water Heating Boiler Systems. InspectAPedia.